The fifth Phantasm film, Phantasm: Ravager, just screened at Fantastic Fest—but for all the cult fans who couldn’t be in Texas, we’ve got an exclusive behind-the-scenes look at the much-anticipated final chapter in Don Coscarelli’s horror saga. You can really tell from this clip how close the Phantasm family has grown in the nearly 40 years since the original film was released, and you get a sense of how much they appreciate the series’ loyal fan base. 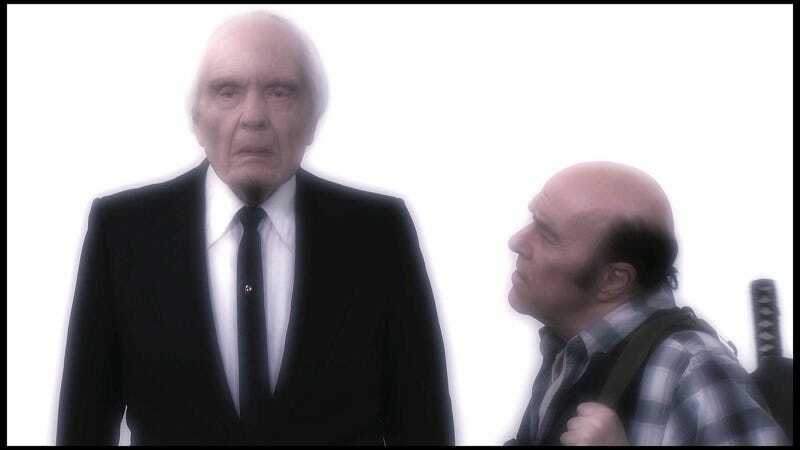 The short also includes a nice tribute to Angus Scrimm, who passed away in January after filming his last turn as the iconic Tall Man. All of the Phantasm films—including Phantasm: Ravager and the newly restored version of the 1979 original, Phantasm: Remastered—will be available on Digital HD and On Demand October 4. Ravager and Remastered will also be in theaters October 7.